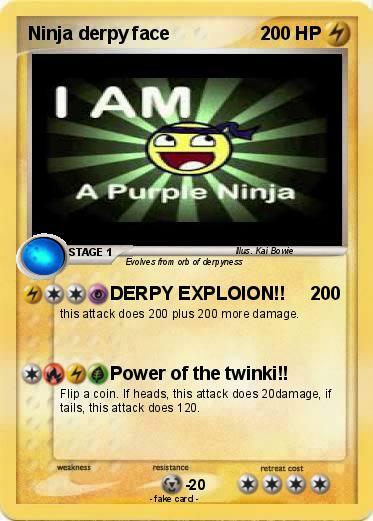 Attack 1 : DERPY EXPLOION!! this attack does 200 plus 200 more damage. Attack 2 : Power of the twinki!! Flip a coin. If heads, this attack does 20damage, if tails, this attack does 120.